CATCO’s Broadway2LA Acting Studio is offering a 5 week teen’s Demo Reel Class which gives students professional footage (60-90 seconds) to use on their demo reel. Our instructor will hand pick scenes for their students which will showcase their range and ability as an actor. Students will memorize, rehearse, block, and receive direction on their scene during the first four weeks of the course. At the shoot (week 5), students will perform at Boxland Media and experience what it is like to be on a professional film set: lights, sound, crew, and a 2 camera shoot. Experience what it is like to act in Hollywood & on Broadway! 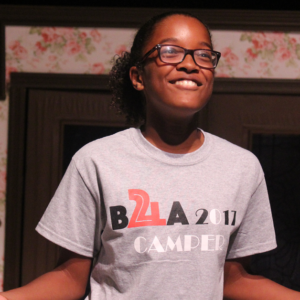 Each day teen campers will receive a script, memorize their lines, and perform 2 Broadway pieces (Play/Monologue) and 2 Hollywood pieces (Commercial/Film script) in the Talent Agency Showcase. The teen showcase will be a red carpet event that includes talent agents, friends, family, and the paparazzi. Ages: This camp is designed for teens between the ages of 12-16 years old. No Scripts, Only Your Imagination! 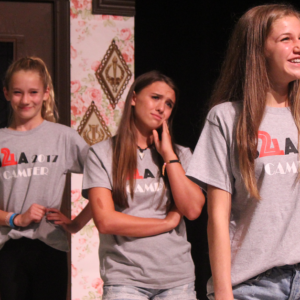 “Friday Night Live” teaches its teen campers the basics of the art of improvisation in a friendly environment. Each day teens will create improvisational pieces (TV Shows/ Commercials/ Films) from scratch which will be aired on the Broadway2LA YouTube Channel and performed in the Talent Agency Showcase. The showcase will be a red carpet event that includes talent agents, friends, family, and the paparazzi. Create a film from the ground up! Experience the lights, cameras, and rush of being on a film set! Campers will write, act and direct their own short movies as they discover the rewards and challenges of scriptwriting and acting for the camera. The films can be shared on social media, used on your demo reel, or kept on a private link and used as an educational experience. Family and friends are invited to join us on Friday to watch the final film cuts at our red carpet event. *Talent agency showcase- One agent from CAM, Heyman, or PCG Talent agency will be at our showcase to scout talent and provide feedback to our students.